Mother nature called and said this unit is sure to be a hit at your next party. 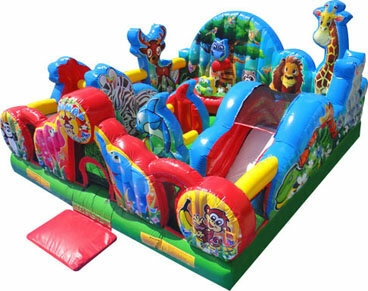 With plenty of room to run, the kids will sure to feel like the king of the jungle. Run, jump and slide enough to keep all the kids happy.